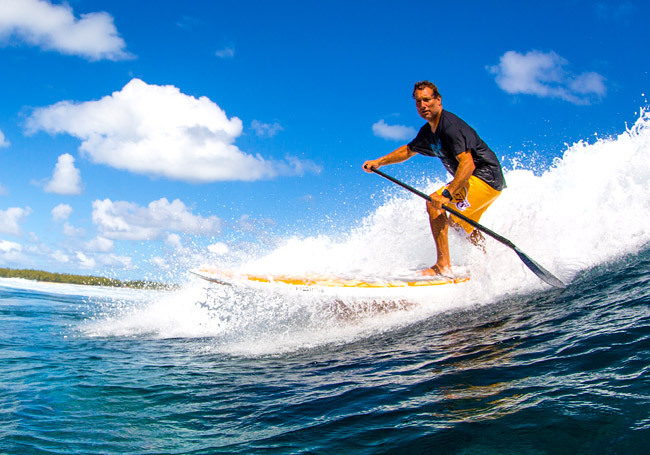 Dave Kalama has been around since day one of stand up paddling (literally) and has competed in the ocean for over 30 years. He consistently innovates and helps create the equipment he uses from boards to paddles – and he’s still got the passion, wonder, gratitude and sense of “awe” that creates a legend. It was an honor to chat with Dave recently. You’re gonna love his stories and perspective. 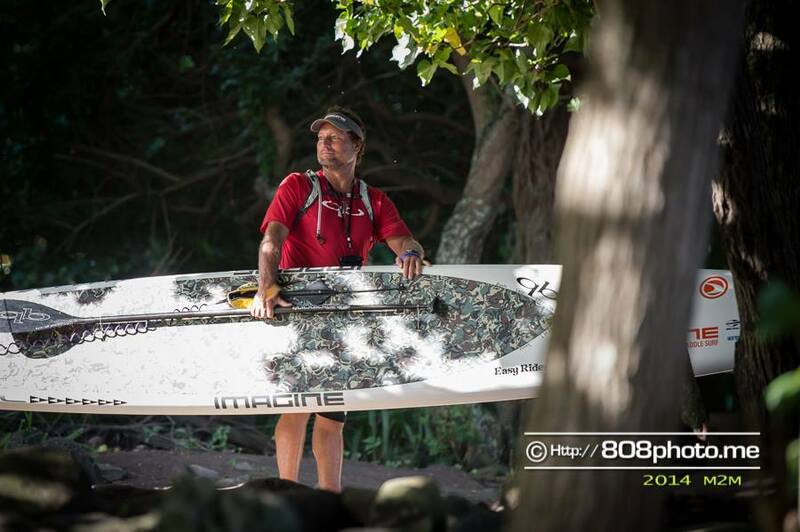 It started on Maui in 2012: If you have ever done a down wind run you know what I mean when I say – “Holy cow! What a rush. I want more!” With one down wind experience at the 2012 Naish Columbia Gorge Paddle Challenge under my belt, I headed to Maui for the Olukai Ho’olaule’a Fun Race. At the post race luau I was fortunate to find myself in line behind Dave Kalama who was chatting with friends, talking technique and sharing his expertise with a passion. Overhearing some tips I picked up information that fueled my journey to learn-learn-learn all I could over time. Over time following events, news, videos, training and Kalama Kamp adventures some “talk story” questions inspired this article. Every body of water interacts differently with wind waves. A gradual beach, a steep cliff, refraction off rocks, how bumps are moving, speed of the current and the depth of a river or lake all combine as the “language of water.” You don’t need to know how hydrodynamics works, but with awareness during your time on the water you will begin to understand that language. Speaking of Kalama Kamps (and register early because they seem to sell out) Dave injects his philosophy of fun into deep learning opportunities. He stays connected to each participant making sure that they get what they need and have plenty of “aha” moments. For Dave, the most satisfying part is hearing from people a few weeks after the camp when they have had some time to reflect on the experience. Such testimonials help Dave continue to hone the Kalama Kamp experience over time. Keep motivated by finding the fun!